Missing several teeth can lead to various problems with your oral health and potentially your general health. Depending on how many teeth have been lost and where the gaps are in your smile, you may experience difficulty in chewing certain foods (therefore limiting your diet), digestion, and speaking. Dr. Bailey and Dr. Phan of Grandon Village Dental Office in San Marcos, CA are experienced general dentists who can help replace missing teeth with comfortable, natural-looking dentures. Grandon Village Dental Office offers full and partial dentures, as well as implant-supported dentures. 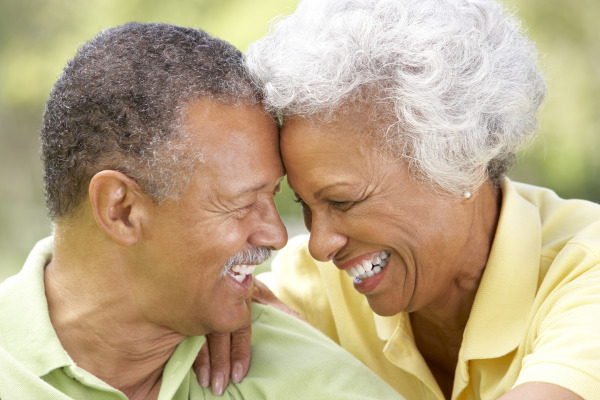 Our dentures are designed to fit securely, to improve both comfort and function. Traditional dentures are designed to replace one or more missing teeth. Partial dentures can replace groups of missing teeth, or single teeth, while full dentures are made to replace the complete the upper or lower arch of teeth. Full dentures are fixed in place daily with a special adhesive for daytime use and are taken out at night for cleaning. Our dentures are created to fit comfortably on gums and give patients the ability to chew and speak normally. Over-dentures dentures are a cross between dental implants and traditional dentures. They're designed as a single unit, like traditional dentures, but are held in place by implants. Fixed dentures provide some important benefits to denture-wearers. For example, the implant will help support bone density and they are securely fixed in place by the dental implant so there is no need for adhesives or worry about your dentures slipping. There are two kinds of implant-supported dentures: fixed and removable. - Removable dentures snap onto the implants and can be removed at home for cleaning. - Fixed dentures are secured to the implants in a semi-permanent fashion and can't be removed at home. Instead, you'll brush and floss at home as normal, and the dentures are thoroughly cleaned at your biannual checkup. A well-fitting set of dentures can give you a new lease on life, helping to restore your oral health and reduce or eliminate problems caused by missing teeth. To learn more about how Dr. Bailey and Dr. Phan can help, contact Grandon Village Dental Office today.